O, The Oprah Magazine gives confident, smart women the tools they need to explore and reach for their dreams, to express their individual style and to make choices that will lead to a happier and more fulfilling life. SELF is a motivating monthly self-help manual that gives its 5 million readers the tools and inspiration they need to feel, look and be their very best. Dedicated to showing men the practical and positive actions that make their lives better, with articles covering fitness, relationships, nutrition, careers, grooming, travel and health issues. 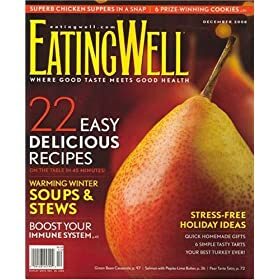 The award-winning magazine where good taste meets good health on every page. Your guide to living a healthier, balanced, and more joyful life. Covers various facets of the growing and dynamic 425 billion dollar home-based business market. This energetic magazine promises to enrich the lives of families.